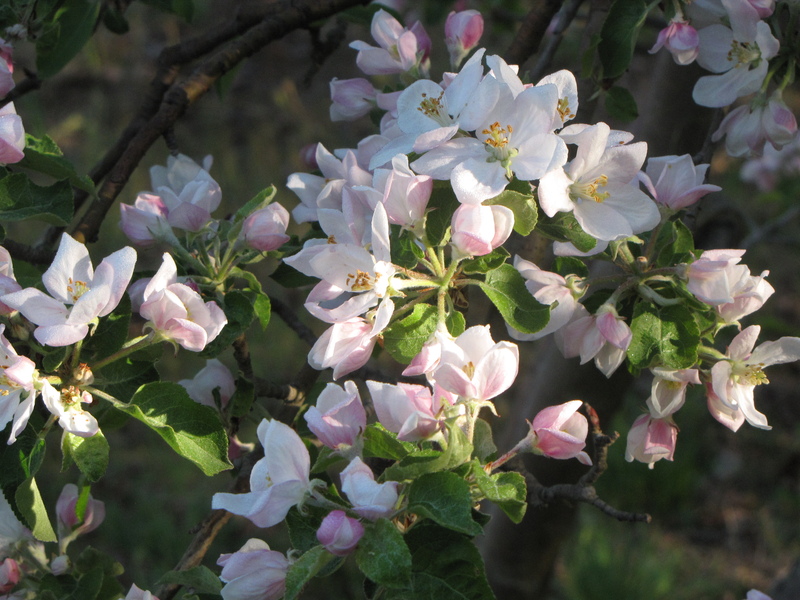 IT IS APPLE BLOSSOM time in New England’s orchards. 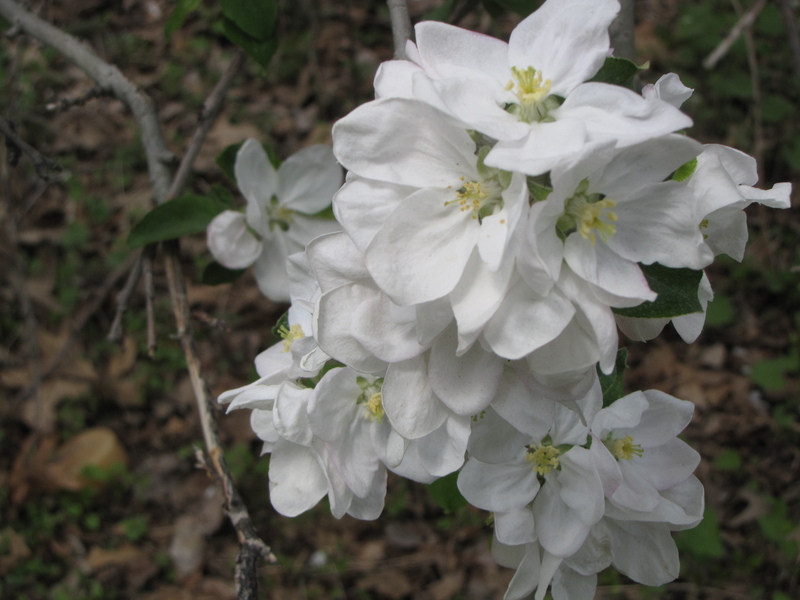 The bloom is about on schedule for a typical year, with varieties like McIntosh in full bloom in some places, especially in southern areas like Rhode Island, where most of these photographs were taken yesterday. 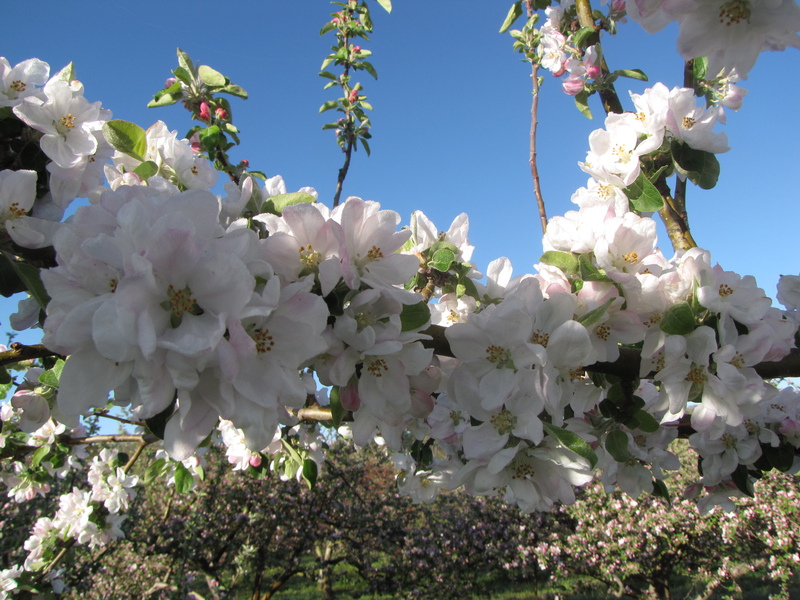 Growers are cautiously optimistic after getting through early spring without an extreme weather event like last year’s March heat wave, which left the fragile blossoms vulnerable to damage from frost and resulted in a smaller crop. New England’s orchards produced about 30 percent fewer apples than normal in 2012, yet fared well compared to the rest of the Northeast. Michigan, the third-largest apple growing state behind New York and Washington, suffered historic losses, with frost damage destroying more than 80 percent of the crop. New York lost about half of its usual crop. 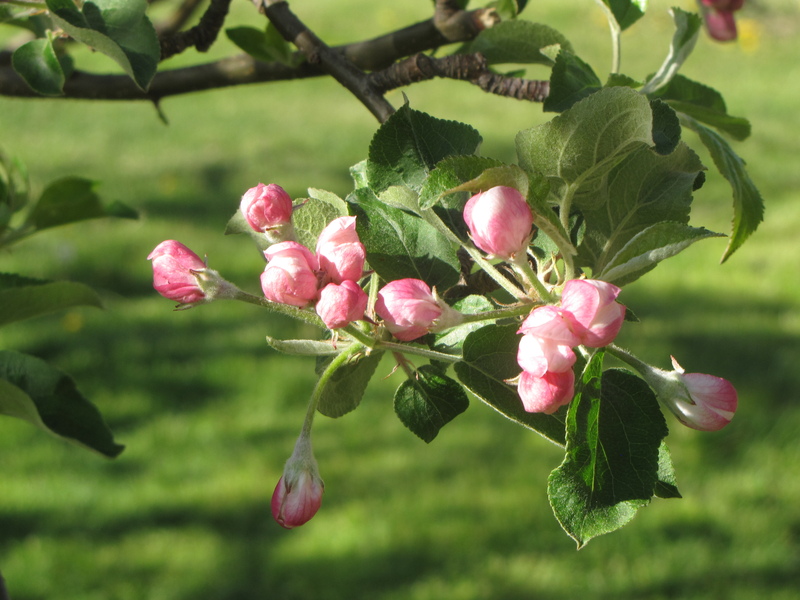 Most years consumers can purchase New England apples throughout the year, but this spring local apples are scarcer than usual. 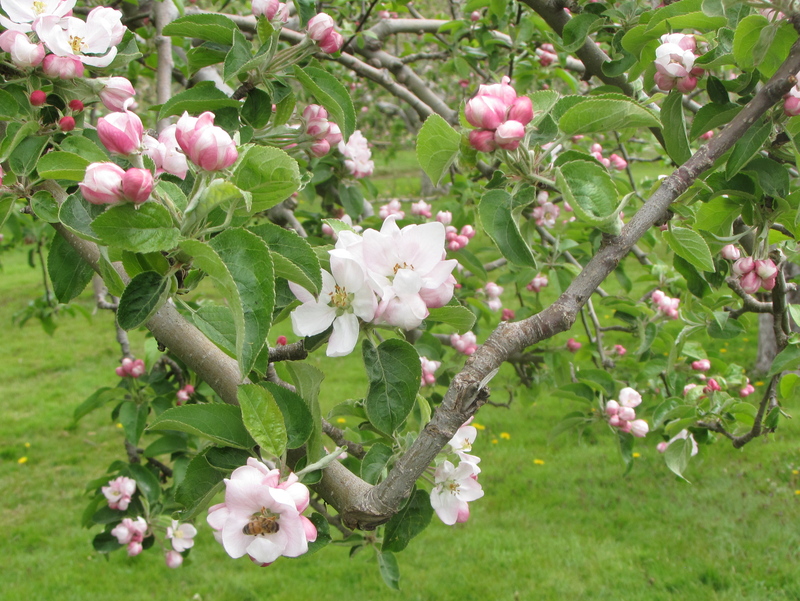 But Appleland Orchard in Greenville, Rhode Island, was packing giant, crisp Mutsus yesterday, so 2012 New England apples are still available in some places. The USDA released a report earlier this month about the threat to our honeybee population, which has been in decline since the 1980s. The situation has worsened considerably since 2006, when what eventually came to be known as Colony Collapse Disorder was first reported by beekeepers. Hives were suddenly abandoned except for a live queen (and sometimes honey and immature brood). Beekeepers in 36 states in the United States and parts of Europe, Brazil, and India soon were affected, experiencing losses of up to 90 percent of their hives. Bee pollination is responsible for $30 billion in added value for crops like almonds and other nuts, berries, fruits, and vegetables, according to a May 2 article about the USDA study by Seth Borenstein of the Associated Press. Yet the number of managed honeybee colonies has dropped from five million in the 1940s to about half that amount today, even though the need continues to climb. The USDA report lists a number of factors impacting honeybee health, though none stand out as a single cause of the decline. Virulent pathogens and pests like varroa and tracheal mites top the list. Frequent and extensive travel, and increased exposure to other bees (and the diseases they might be carrying) may be contributing factors. In many parts of the country, notably California’s vast almond orchards, monoculture has stripped the environment of a year-round food source for bees, and some pesticides may be having negative effects on honeybees. 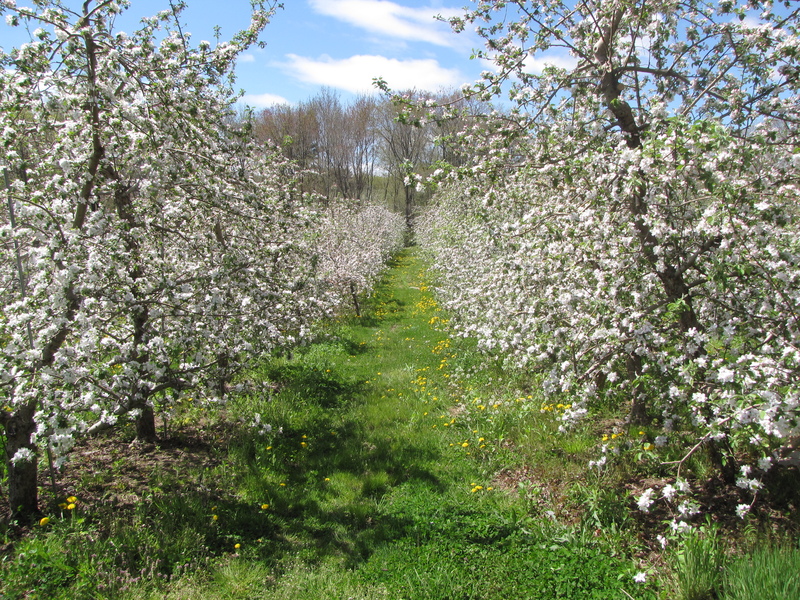 New England’s diverse flora in and around the apple orchard may be a hedge against honeybee stress and encourage the native bee population. 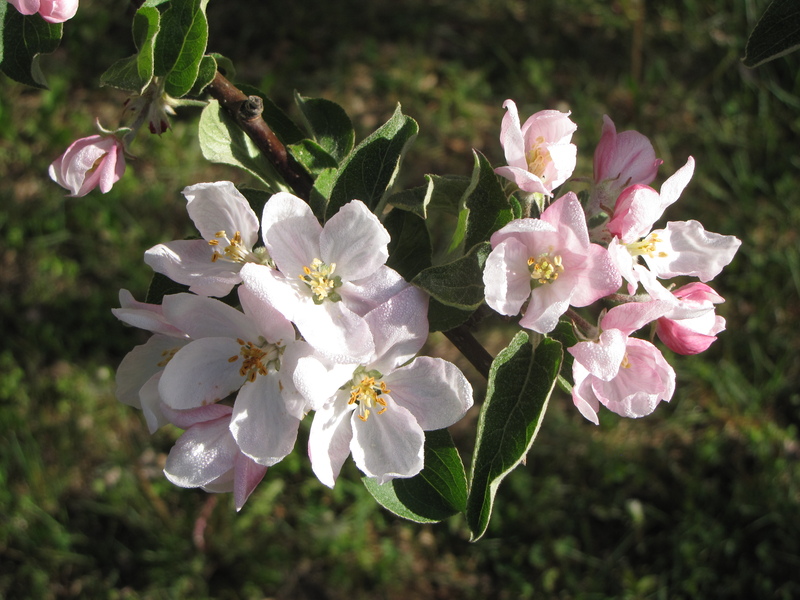 Growers are also experimenting with other pollinators like native bumble and blue orchard bees, and Japanese orchard bees, which have been used to pollinate orchards in Japan for more than 50 years. 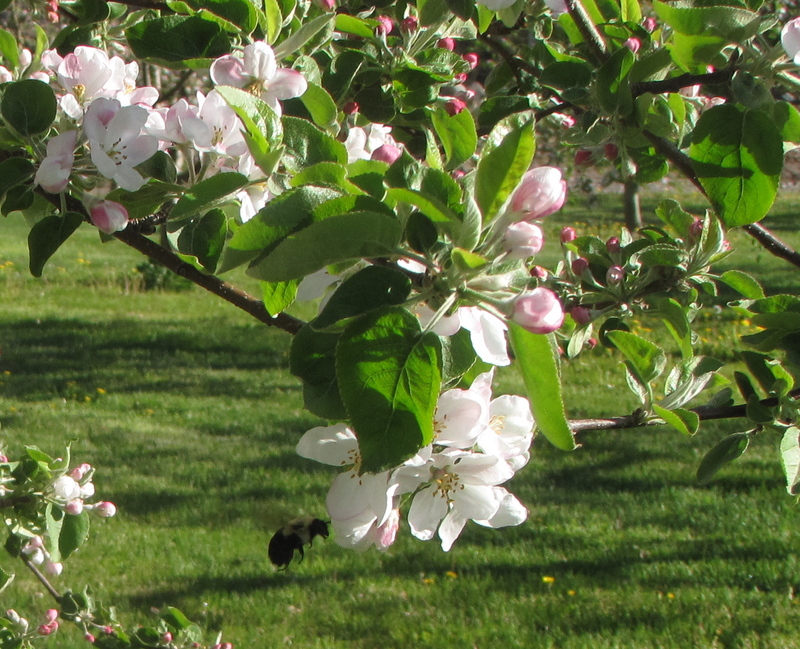 More than 100 species of wild bees visit United States apple orchards. 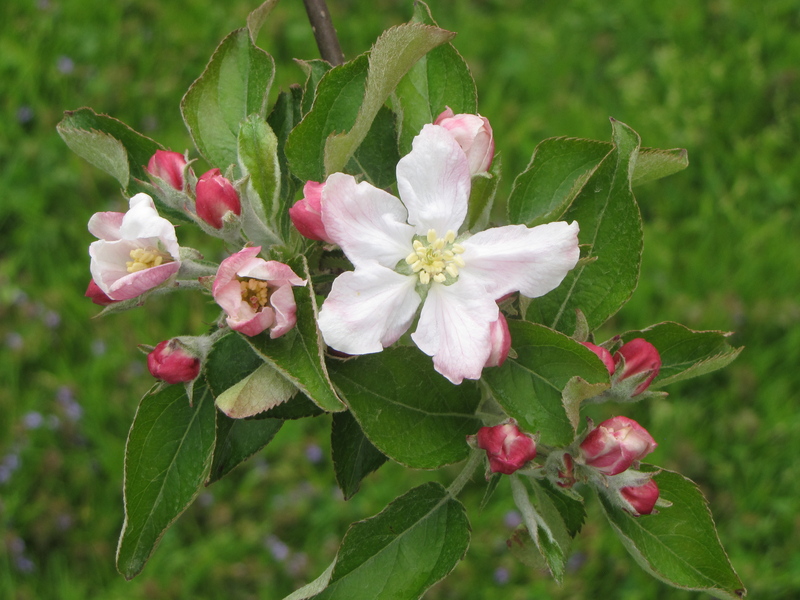 To learn more about the critical role honeybees play in pollinating the apple crop, view the short video program below. 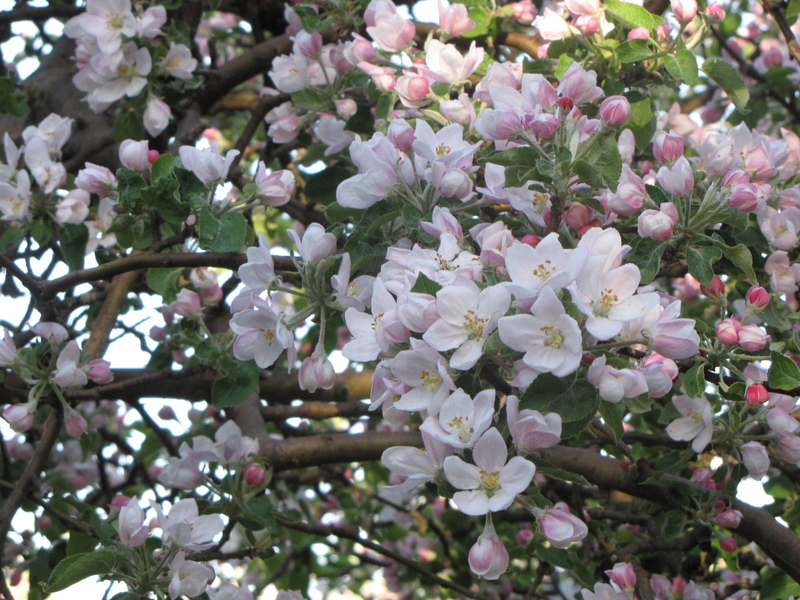 Looking beautiful and abundant this year! Here’s hoping for a bounteous crop! Just got your book–am eager to read!